At the moment, we have the following books at our disposal to present to the children. There is a book for every taste and age. All books are fresh off the printing press. You will also find more information about specific titles in the video at the bottom (in German). The freshly baked gingerbread man does not quite want to be eaten yet. And so he decides to jump off the platter and run into the wilderness. A heated pursuit ensues, first with the baker and her husband and soon followed by more and more hungry mouths. But the gingerbread man is very cunning and fast and the hunting party cannot keep up. Until he comes across a conniving fox who eats him up in one big bite. NordSüd Verlag, 2012. It’s a big day for the small Chicks! Mama Chicken brings them to kindergarten for the very first time and they soon realise that it’s not that easy to immerse themselves in a new environment. This heartwarming story is about how the small Chicks learn to deal with their fears and find new friends. 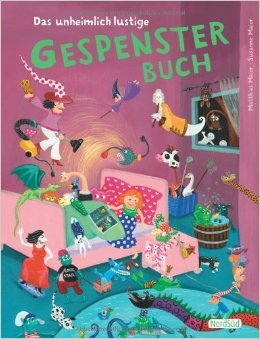 Publisher: NordSüd Verlag, 2011. Marie is looking for berries in the forest when she stumbles upon a snowbear. He can fly and is very strong. So he says. And snowbears never lie! So he also says. Together, the snowbear and Maria walk through the snowy forest until dawn. Marie isn’t afraid of the dark anymore thanks to the snowbear at her side. The snowbear also teaches Marie how to fly through the air – just like a snowbear! Publisher: NordSüd Verlag, 2013. 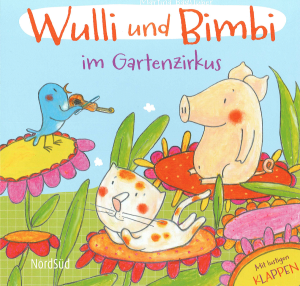 Wulli , the pig, and Bimbi, the cat, like to play together. Today, they want to play circus in their garden: All of a sudden, a butterfly turns into a ballerina, a caterpillar becomes an acrobat and the frogs in the pond croak their most beautiful symphony. Of course, the ladybug-clown also can’t be missed in a real circus! With funny flaps that reveal imaginative views. 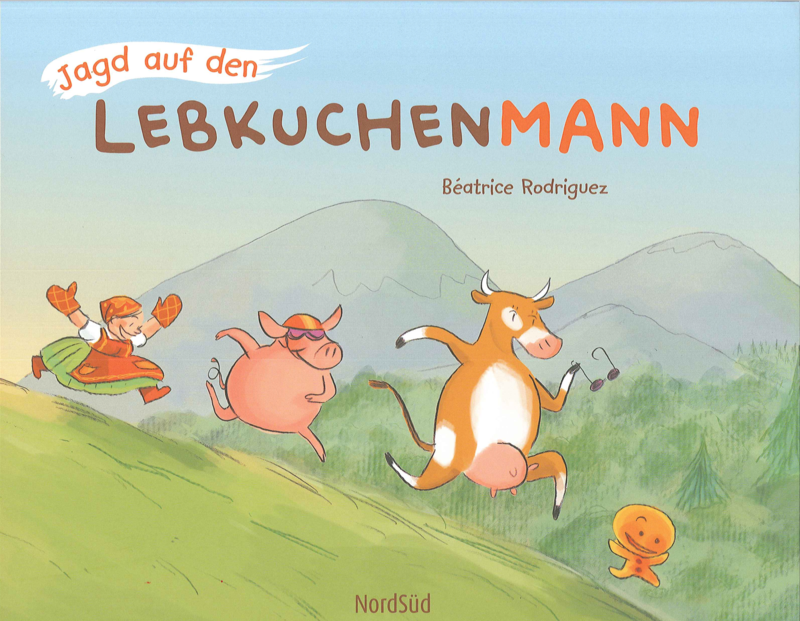 Publisher: NordSüd Verlag, 2012. Where does the ocean end? An ant and an elephant just can’t get that question out of their heads. A fantastic and smart examination of a great philosophical question that not only ants and elephants contemplate. 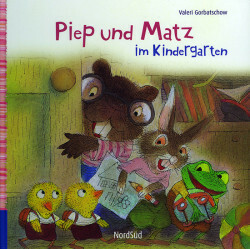 Publisher: NordSüd Verlag, 2008. 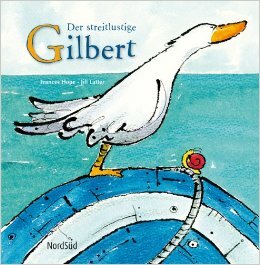 Gilbert, a cantankerous gander, lives all alone on an old boat in the ocean. Nobody is allowed near his boat, Gilbert hisses and spits and sends everyone packing. Until, one day, something happens that will change Gilbert forever. Publisher: NordSüd Verlag, 2011. 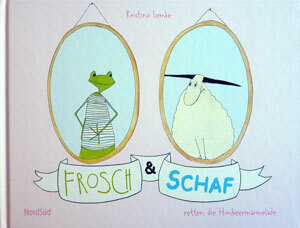 Frog and Sheep are on a boat trip to India. With them on board they have raspberry jam for their friend, Elephant. A story of true friendship and the joy of sharing. 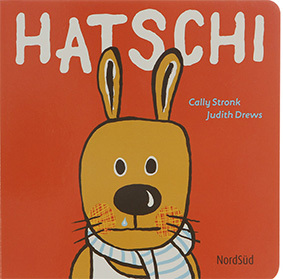 Publisher: NordSüd Verlag, 2011. Hendrik would love nothing more than to play with his model helicopter. But instead, he has to go hiking with his parents. 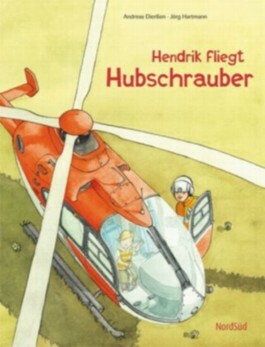 When his father falls off a cliff, a rescue helicopter has to fly in and save him. And now, even the hiking trip has become an adventure! Publisher: NordSüd Verlag, 2011. Little Bunny is sick in bed. Luckily, his friends are coming to see him. They take such good care of him that Little Bunny gets all better soon! Publisher: NordSüd Verlag, 2011. Right on time for witching hour, the ghosts, vampires and witch awake from their slumber in Erna’s big book! A creepily funny spook story with rhymes. 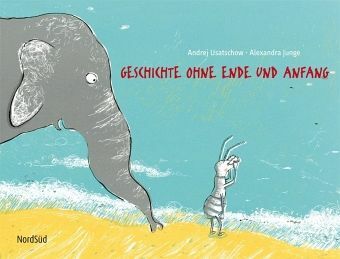 Publisher: NordSüd Verlag, 2012. All our German-speaking dogs say is: WOOF. Sometimes maybe: WOOF WOOF! But what do they say in Japan, Hungary, Romania or Denmark? This dictionary will open up your world to the many languages of you favorite animal friends! Publisher: NordSüd, 2006.